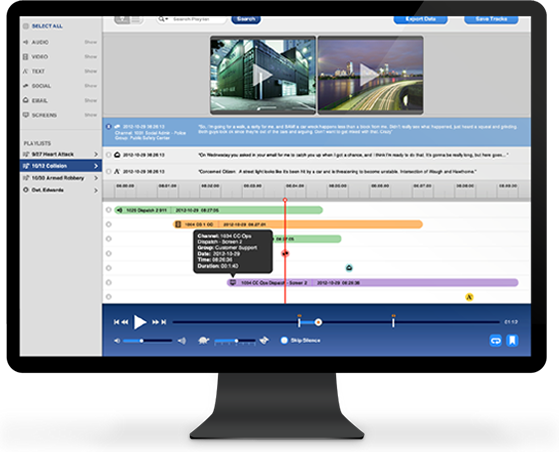 Revcord has updated the voice recorder to a comprehensive multimedia logging service. Multimedia recording is focused at both traditional media, such as analog and digital, and most importantly, Next Generation 9-1-1 where all recording is accomplished used SIP with RTP. Revcord also protects against TMI (Too Much Information). Rather than possibly overwhelming a call taker with a glut of mind numbing information, you can easily adjust “how much of what” a call taker, agent or supervisor sees. 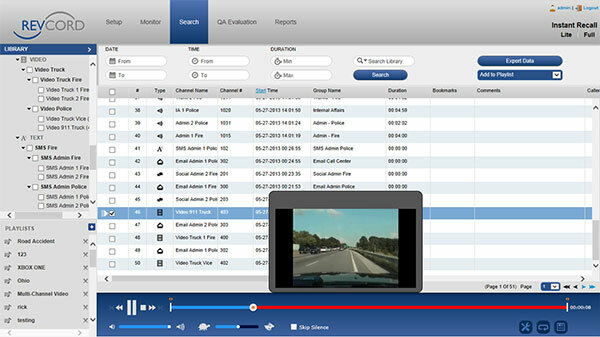 Additionally, Revcord announces one of the first full featured cloud based Android mobile call recorders. 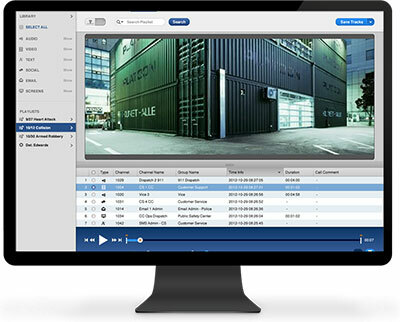 At the heart of the Revcord system is an easy to use browser-based interface where voice, video, text and other media can be recorded, searched and replayed. With Call Commenting, ANI/ALI, Dialed Number, Radio ID, Call Tagging, Caller ID, and much more, the Revcord software gives users the ability to quickly and accurately find recordings. Revcord offers “unlimited replay licensing” for all systems, making it even more cost effective. Revcord provides true Multimedia Incident Recreation. Dispatch Personnel, Investigators, or Records Managers can place important recordings, including all voice, video, text and other associated media from third party sources, into one single event reconstruction. Screen Data Capture is designed to record the activity of computer screens for quality monitoring, call agent performance and evaluations and assessments of training needs. Revcord can record multiple screens per work station and store them on the Revcord Server or another pre-determined location. Screen Capture is yet another tool offered by Revcord that comes standard with our base system. Listen to communications across multiple locations as they happen. Two versions of Live Monitor come with the Revcord solution. Whether you want to quickly monitor a 911 call in progress, use it for training purposes, or quickly access a recent call, Live Monitor is an invaluable tool. Quality Evaluation allows public safety organizations to improve call handling, increase accuracy, reduce errors, and achieve higher levels of service. The Revcord solution can easily create score sheets with multiple choice, yes/no, text comments, and/or scored responses. APCO templates can also be imported as an evaluation form. Calls can be manually selected or selected randomly by the system. 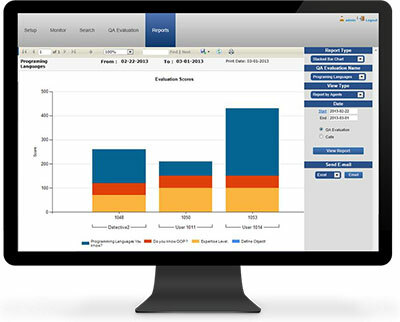 Again, without additional cost, Revcord includes a complete Reports and Statistics package. Reports can be essential for analysis of call patterns, dispatch scheduling, research, or funding justification. 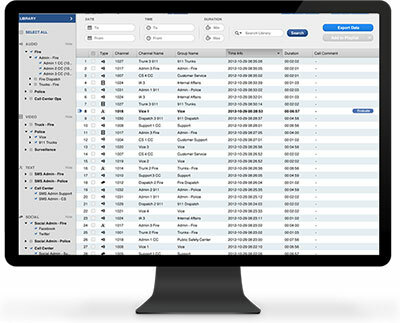 A complete high end reports application is included with every Revcord logging recorder. This rich text and graphics tool produces Excel spreadsheets, bar charts, stacked bar charts and even pie charts, driven by SQL Server, that can be modified, sorted, manipulated and even emailed directly from the screen or used by Crystal Reports. There are two separate reports applications: one for general reporting functions and another reports application for QA Evaluation reports and all the complexities so as to provide truly useful information call handlers, supervisors and all of management. Revcord can save you time and work by producing professional and engaging reports that can be exported in a variety of formats.